Featuring Larry Cohen, Martin Scorsese, Joe Dante, Michael Moriarty, J.J. Abrams, Mick Garris, John Landis, Traci Lords, Fred Williamson, Robert Forster, F.X. Feeny, Eric Bogosian, Barbara Carrera, Yaphet Kotto, Eric Roberts, Rick Baker, Tara Reid. Directed by Steve Mitchell. (2018/110 min). In the climax of the 1982 film, Q - The Winged Serpent, a SWAT team is defending the top of New York's Chrysler Building, firing hundreds of rounds in an effort to kill the title creature. To accomplish this scene as quickly and economically as possible, director Larry Cohen hired the skyscraper's maintenance crew, dressed them as cops and filmed them shooting from windows and baskets outside of the building. Though firing blanks, the guns' shell casings rained on the streets below. This was all news to the people of New York, who assumed they were under siege (ever the opportunist, Cohen instructed one of his cameramen to capture these scenes of genuine panic, which made it into the final cut of the film). It was also news to John Landis, whose own production of Trading Places was disrupted because police were called to respond to the incident. Typical of his style and approach, Larry Cohen never bothered to inform the appropriate authorities of his intentions, nor did he have the same financial resources as Landis to afford the city's cooperation. It's my favorite anecdote from a documentary filled with them. 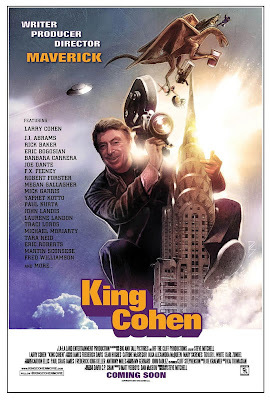 King Cohen: The Wild World of Filmmaker Larry Cohen is an affectionate tribute to a writer-producer-director who forged a semi-legendary career by remaining fiercely independent, staying true to his own vision and ignoring the advice and help of others. In the process, he directed a handful of cult classics and is probably best-known in horror circles as the madman behind 1974's It's Alive (though in this writer's opinion, the endearingly-tacky Q is his crowning achievement). 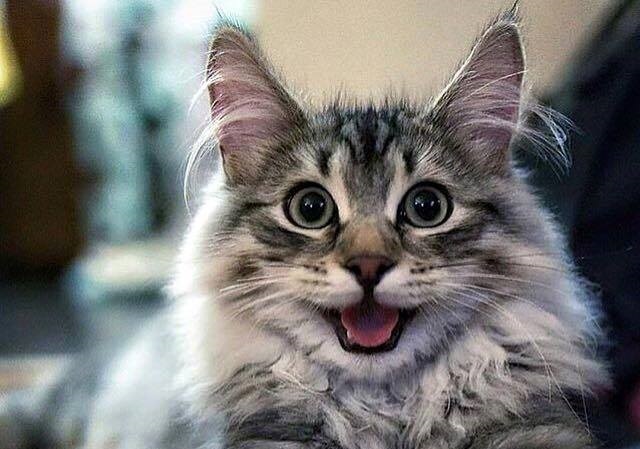 "What's in The Stuff? Michael Moriarty's essence, of course." But Cohen's story actually begins in New York during the golden age of television, where he began his career as a writer. The film chronicles his rise in television, where he created a few series with varying levels of success. It was out of frustration with studio interference that eventually put Cohen on the path to independent filmmaking, inauspiciously beginning in the blaxploitation genre before moving on to the quirky horror films we know and love him for. King Cohen tells his story in tremendous detail, with dozens of clips from his most noteworthy movies, interviews with colleagues and actors he's worked with and, of course, plenty of entertaining commentary and anecdotes from the horse's mouth. Cohen's enthusiasm is contagious; it's clear he still loves the business, despite nearly every one of his projects being a financial challenge to complete. For the uninitiated, King Cohen also does a wonderful job helping one appreciate the man's creativity, not-to-mention loads of sheer audacity. Directors Joe Dante, John Landis, Martin Scorsese and J.J. Abrams have nothing but respect for Cohen's independent spirit, as does frequent collaborator Michael Moriarty (the two did five projects together). On an amusing note, Fred Williamson seems to remember some of their shared history a bit differently than Cohen and isn't afraid to say so, but he's good-natured about it. 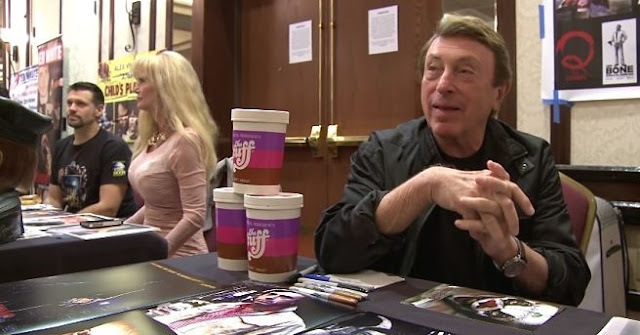 The ultimate grassroots auteur, Larry Cohen has had a long, fascinating career, which this film encapsulates with genuine reverence and affection. King Cohen is a must-watch for both his fans and those curious about his unique approach to genre filmmaking.